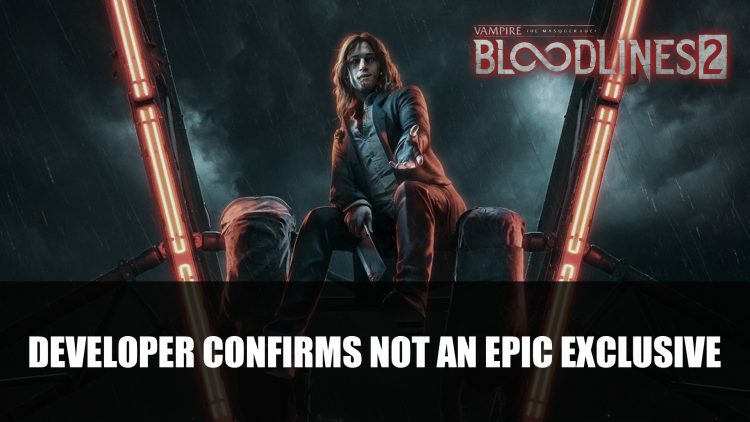 Regarding a bunch of games becoming Epic Games exclusives upon launch, developer Paradox Interactive speaks out about upcoming Vampire: The Masquerade Bloodlines 2 and platform exclusivity. Especially with the recent review bombing of previous Borderlands titles on Steam, after it was announced Borderlands 3 would launch on Epic as an exclusive for the first 6 months. Fans have not been completely happy with some of the decisions for titles to be Epic Games Store exclusives upon launch. Another tweet also outlined the available stores PC players will be able to pick up the title once it is released, these include Paradox Store, Steam, GOG, Epic as well as PS4 and Xbox One. Vampire: The Masquerade – Bloodlines 2 is set to release on PC via Paradox Store, Steam, GOG, Epic as well as Playstation 4 and Xbox One sometime next year in 2020. If you want more Bloodlines 2 news find it here in Vampire: The Masquerade – Bloodlines 2 Will Not Feature Day And Night Cycle and Vampire: The Masquerade – Bloodlines 2 Announced For 2020; Pre-Order Editions.